Amazon Native Ads and Text+Image Links are awesome tools that serve up product price, name and image into an iFrame on your page, from a external database. At the time of page load, when our tools are on the hunt for raw product URLs to convert, the iFrame is empty. Thus, the links don't get converted into globalized buy.geni.us/Proxy/xxxxx... links. As an aside, after the page loads, the raw product URL is present in the HTML of the page, but not when our tools are looking for them. What's a raw product URL? Note: amzn.to/2xxxx shortlinks will also be properly converted by our tools. We've seen some clients have success with WordPress plugins that don't utilize iFrames. It all depends on whether or not there is a raw product URL at the time of page load. For example, EasyAzon is compatible with our tools, but it's not a free service (more information about Geniuslink + EasyAzon can be found here). Note: If you find ad plugins that work with ours, let us know so we can keep this up to date! How do I know if an ad uses an iFrame? 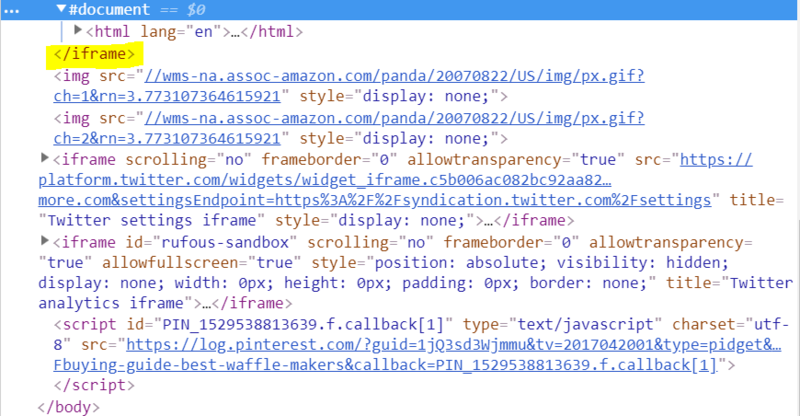 If you notice the word iFrame somewhere in the code, that indicates that we won't be able to convert that product URL. If you don't see the iFrame element, you may be in luck!